In its 11th year, the highly-anticipated Holiday House brings together top decorators and firms to brilliantly—and festively—transform the Upper East Side townhouse to benefit breast cancer research. Every beautifully-appointed room is a sight to behold for visitors. For the master closet, California Closets New York’s Stacy Skolsky worked closely with Rio Hamilton, a design industry veteran who brought his marketing savvy and signature style to this year’s event. Stacy and Rio both envisioned a luxurious custom design—one chic enough to inspire any visitor looking to achieve sophisticated storage solutions. Working with the New York team at California Closets was a wonderful design and installation experience. 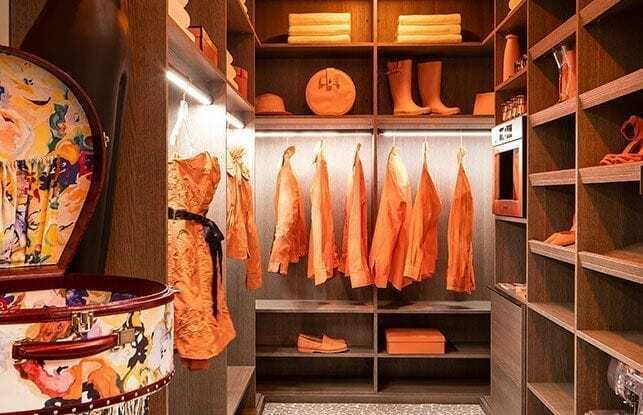 Rio's vision was simple: To create a luxurious closet space that was as chic as the clothes. Stacy was confident she could achieve this in spite of the closet’s large—yet—narrow footprint. 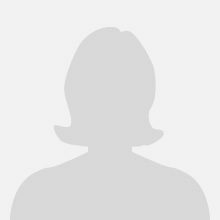 The biggest challenge for her team of schedulers and engineers was the project’s tight timeline. 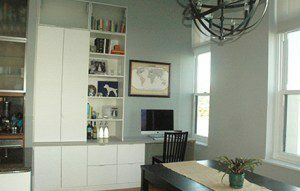 However, in less than 4 weeks, Stacy created an exquisite design scheme utilizing a mix of finishes, while details such as accent lighting, an LG Styler, and even an espresso machine added dimension and interest. 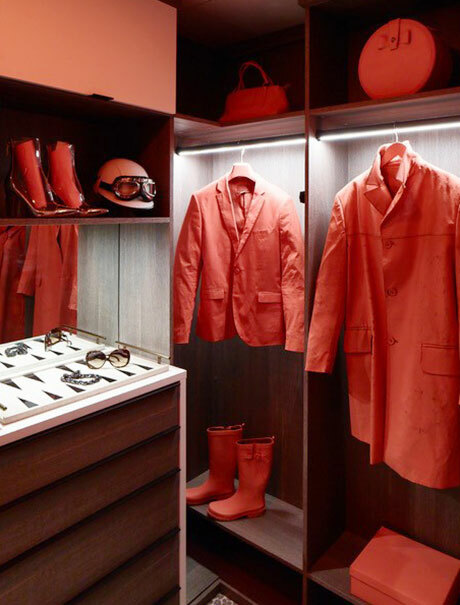 To really wow visitors, Rio added his own personal flair by painting the entire room in Benjamin Moore’s Perky Peach—including one of his own Gucci jackets! 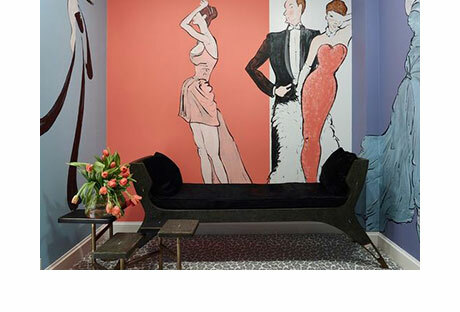 We used stylish details as a background for a fashionable, colorful, art-like installation. Details like the remote-controlled LED clothing rods were a huge hit with the more than 4,000 design enthusiasts who visited this year! 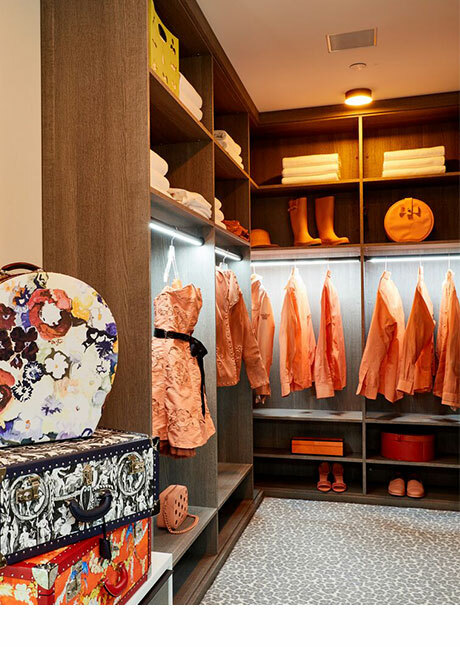 Fashionably merchandised, functional, and definitely memorable, the master closet brought both Stacy’s and Rio’s visions to life and helped make Holiday House a true success.